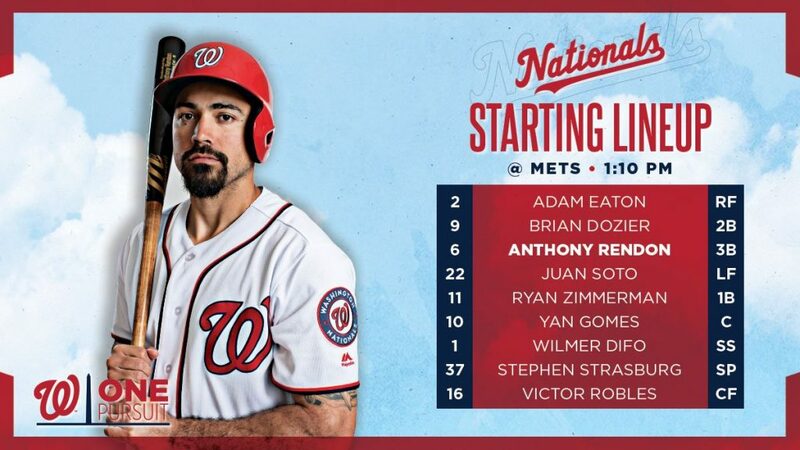 The Washington Nationals start their first road trip of the 2019 season in CitiField against the Mets who have their home opener today. Both teams have last Saturday’s starters on the mound today in Noah Syndergaard and Stephen Strasburg who both sport identical 6.00 ERAs. The difference between the two pitchers is Strasburg was victimized by some shaky defense including a couple of misreads in centerfield while Syndergaard if anything was helped by his defense or his numbers could have been worse. For those who remember Saturday’s debacle, the Nats tied the game 4-4 in the 6th inning only to watch their first bullpen implosion in the 8th inning as the Mets scored 4 runs. The Nats battled back but fell short 11-8 in that one. 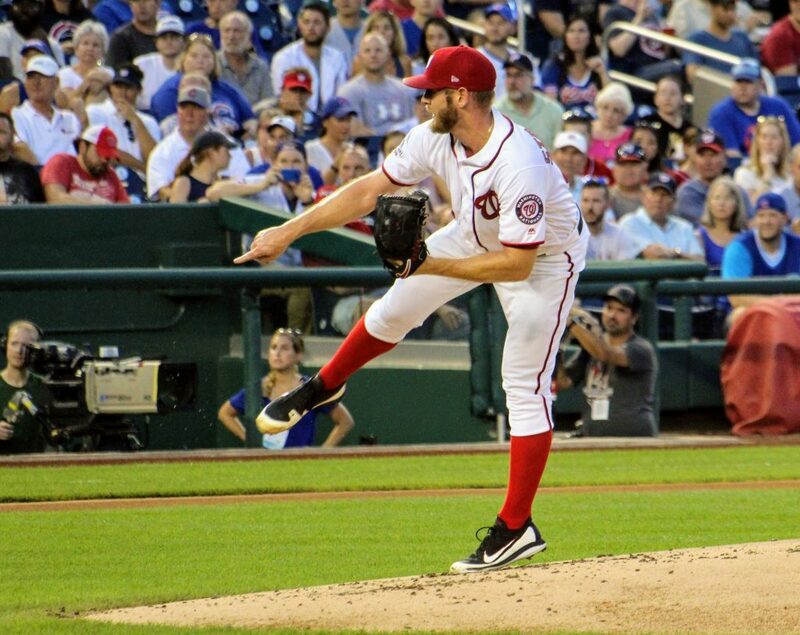 The story of the first week of play has to be about the bullpen, fundamentals and the injuries, and while some of that can be fixed, in time, what heals quicker — Trea Turner’s index finger (4-6 weeks) or the Nats bullpen woes? The issues with the bullpen are not just Trevor Rosenthal. Tony Sipp, Matt Grace, and Wander Suero have not pitched well for the bullpen. Some of it has been some bad luck, but most of it has been poor execution. When will we see the first bullpen bullpen roster move? On top of the bullpen woes have been poor baserunning, defensive issues, and stranding runners at 3rd base with less than two outs. We were promised by manager Dave Martinez that those issues that he referred to over and over as “The Little Things” have not been tightened up. In Martinez’s postgame presser yesterday he let loose. From observations, the centerfield defensive reads and “shallow” positioning has cost the Nats over and over so far this season. Victor Robles was advertised as a future Gold Glover, and so far we have only seen one highlight reel play on a diving catch on Opening Day. Most teams in the analytics age of baseball have learned that taking away extra base hits is more important than racking up a catch on a bloop single. Getting good reads though separates the best from the rest. Robles has also been on the top of the list for embarrassing baserunning, and he is not alone. It is just hard to believe that with all the talk in the off-season and Spring Training about “fundys” that the fundamentals in the first five games looks eerily similar to last year so it is not just the bullpen that is the issue as it goes far beyond that. The talk about driving in runners from third base with less than two outs has improved since Kurt Suzuki’s dramatic sacrifice fly last Saturday with home runs by Trea Turner and Juan Soto, and Jake Noll’s walk-off walk yesterday. Onto today’s game and we will see if there are improvements with “The Little Things” and the big things like the bullpen.